Jumper by FADENMEISTER BERLIN: luxurious knitwear for sophisticated tastes – a statement of quality and style! 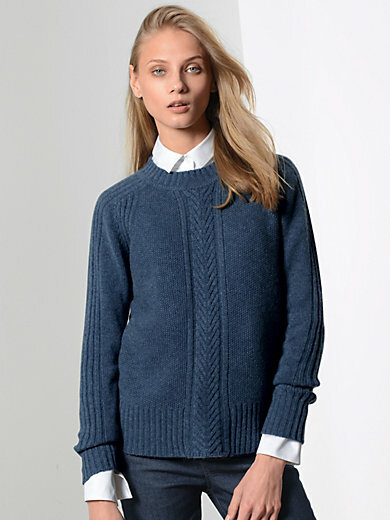 A soft and cosy masterpiece of knitting craftsmanship, made of 6-ply cashmere yarn in exquisite A-grade quality! The elaborate knitted pattern with cable stitch on the front is evidence of expert know-how and experienced workmanship with this luxurious yarn. 100% cashmere. Length approx. 24ins. The jumper should be washed by hand.